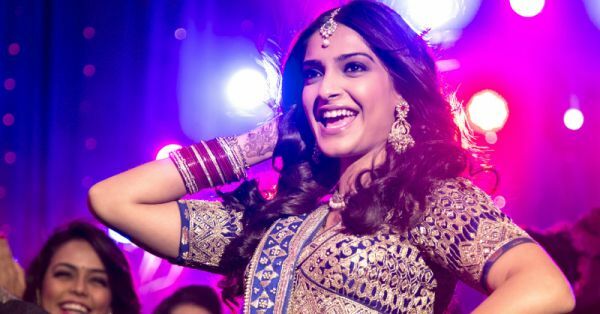 Happy Bride: 10 Tips To Make Your Lehenga Feel Lighter! Summer is here! But that’s not in any way putting a stop to the shaadi season! Weddings are in full swing almost all year round. But you as the bride-to-be should make sure that your bridal lehenga feels nice and light and comfortable. After all, with the sun shining bright, you don’t want your lehenga to weigh you down. So here’s bringing you some amazing tips and tricks for the summer bride. Trust us, this is all you need to make sure that you look fabulous and enjoy your wedding no matter how hot the weather is. As a summer bride, you must avoid fabrics like raw silk or velvet. These will only make you feel extra hot and even weigh you down. Opt for lighter fabrics such as chiffons, net and georgette that are light in weight and even look great during summers. In order to avoid too much embroidery on your lehenga, printed fabrics are a great option. A brocade lehenga will already have enough self work. Also, chanderi is a great option for the bride-to-be. Look for beautiful prints to minimize the work and you can even opt for leheriya or the ombre effect to make your lehenga look heavy. Brides often opt for tons of can-can to make their lehenga look more voluminous. And while that does look pretty, it may not be the ideal choice if you’re getting married during the summer months. The extra layers not only restrict movement but will also make you feel all hot and sweaty. A 10kg lehenga is probably not suitable for the summer bride. And if you’re not comfortable in what you’re wearing, it’s going to show on your face. Cut down the weight by opting for lighter thread work or bootis all over your lehenga. Booti work or foil work looks super pretty and hardly weighs anything. Just like the embroidery, even your borders do not have to be thick and too elaborate. 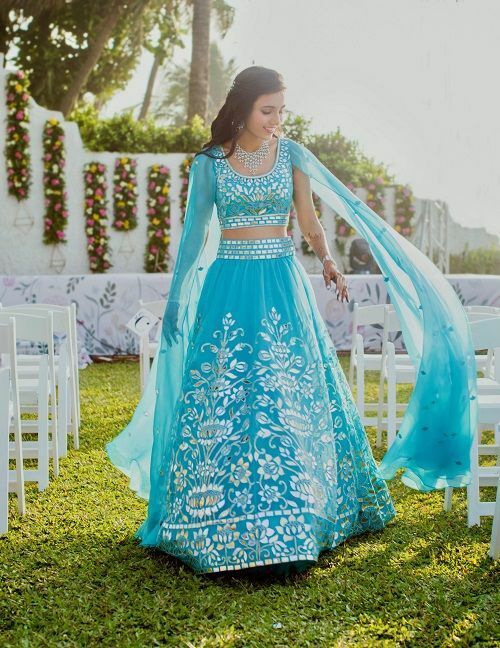 In fact, we’ve spotted a lot of brides sporting lehengas without borders and they look absolutely stunning. It surely is a major bridal fashion trend this season. Even for the dupatta, go in for contrast piping or a light gota border. 6. Capes are a great option too! 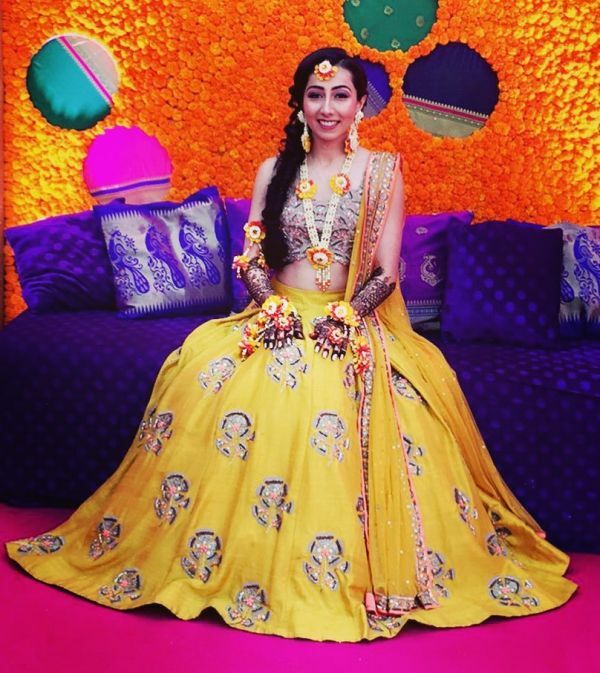 Remember the Abu Jani and Sandeep Khosla lehenga that POPxo SuperBlogger Masoom Minawala wore at her sangeet? It had cape sleeves! And while that looked super stylish, it also eliminated the need for a heavy dupatta. The regular capes too look amazing and they give you the option of wearing a plain, cut sleeves blouse and still look every bit bridal. Bridal dupattas are often pretty heavy. And now that wearing a double dupatta is a major trend, it only means double the weight. Take our advice and choose comfort over fashion A single dupatta looks just as gorgeous and will keep you happy and smiling all throughout. Three-fourth or full sleeve blouses are not the best option for a summer bride. We suggest you go ahead and try out sleeves that are more weather appropriate. From cut sleeves to halter necks and cap sleeves, there are a lot of options out there! 9. A plain blouse looks great! How about a plain bridal blouse in a light fabric? Well trust us, it looks great and oh-so-different. A lot of times the blouse is covered by the dupatta and you always have the option of wearing long layered necklaces to complete your look. So let go of the heavy work and wear something light and comfy. Steer clear of dark colours such as burgundy, royal blue, wine and deep red. For a summer shaadi, stick to nice and light pastels such as mint, powder blue, blush pink, peach and corals. Cool tones look great and give the illusion of you feeling cool. So choose that colour wisely.